For such a famous visit, Peter the Great’s stay in London in 1698 seems to be surrounded by confusion and apocryphal tales (this article from the Torygraph retails its fair share of them), from the misplaced plaque that once adorned 15 Buckingham Street, several streets away from where he actually stayed on his arrival, to stories of meetings with Isaac Newton, Christopher Wren, and Edmund Halley, none of which appear to have taken place. So it also becomes a tale of missed opportunities. Why on earth didn’t he meet these people? How did he manage to miss Newton and Halley, given his multiple visits to the Royal Mint and the Royal Observatory? We can particularly lament the fact that although he stayed in his house, Peter didn’t meet John Evelyn either, so we don’t have the benefit of the latter’s diaries as a source. Inconsiderate, I call it. 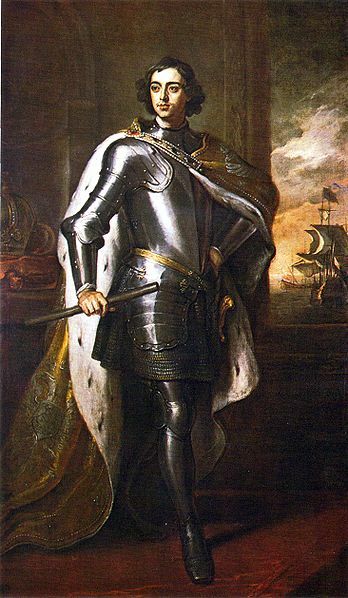 Nevertheless, there are a number of sources which deal with Peter the Great’s visit (Narcissus Lutrell’s diary crops up repeatedly), and a good deal of research has been done on the subject (see the list below), so I don’t intend to repeat everything that has been said elsewhere, but merely to sketch out a few of the highs and lows. My main interest is rather to record my own encounters with the traces of his visit that remain today. Peter the Great arrived in England on 11 January 1698, and left on 21 April. Travelling incognito as part of Russia’s Grand Embassy under the name Peter Mikhailov (not to fool anyone but rather to avoid the limitations and ceremony of state visits), he had spent the previous five months in the Netherlands, where he had worked in the shipyards, as well as participating in Embassy business such as touring welfare institutions, and meeting William III. 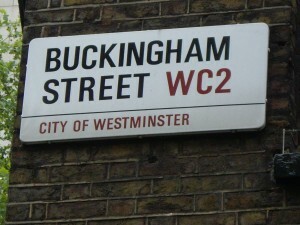 In London Peter continued the informal nature of his tour, settling in lodgings at the bottom of Norfolk Street, just off the Strand (the street has disappeared altogether and been replaced with a hotel), with easy access to the river — the confusion surrounding the whereabouts of these first lodgings and the incorrectly placed plaque seem to have arisen because the whole of the York House estate was known as York Buildings (Loewenson 1962, pp. 432-3). He met the king and other dignitaries frequently during his stay, but generally on an informal basis. I have to admit, this is not the aspect of his visit that really interests me. 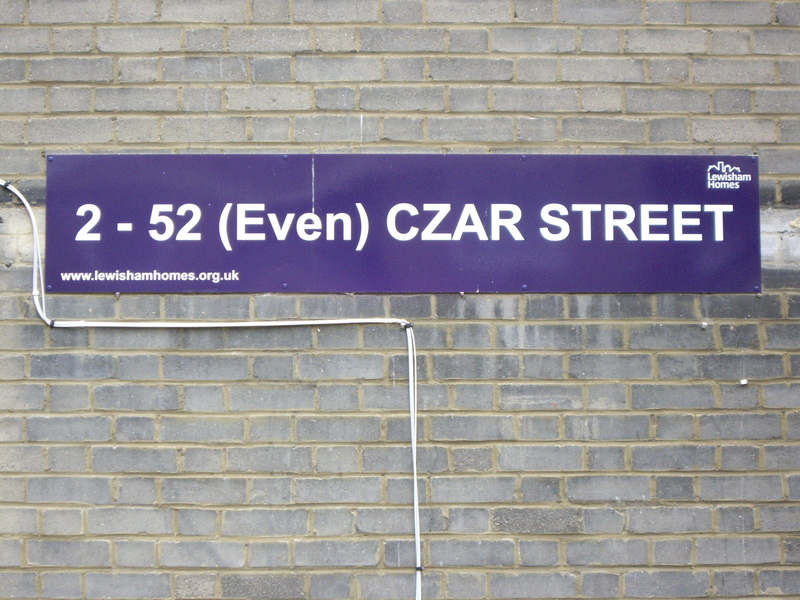 with the equally uninspiring Czar Street nearby to commemorate the monarchical act of wanton destruction in fitting style. 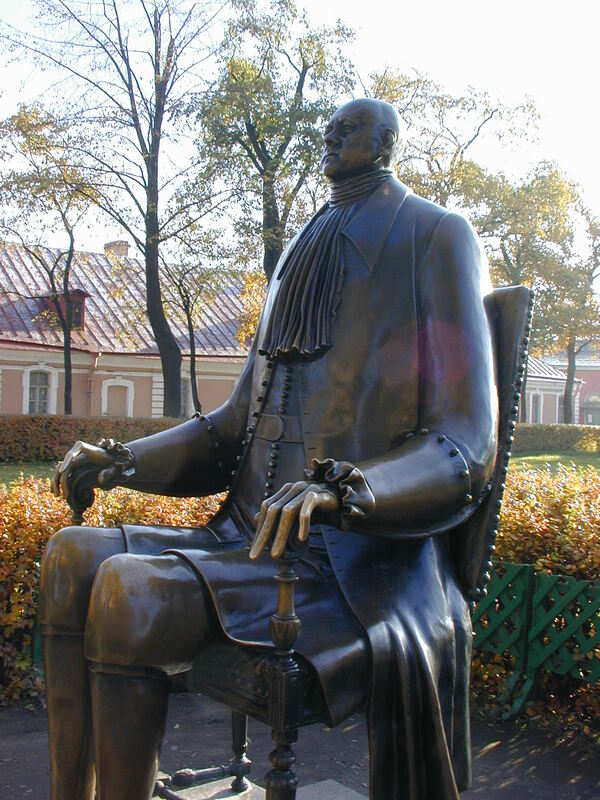 So I explained about Peter’s penchant for genetic curiosities (on 9 March 1698 he is recording as meeting a ‘giant woman under whose outstretched arm he passed without stooping’; Loewenson 1959, p. 463 – and Peter was reputedly nearly 7 feet tall). Later the same day, having snaffled my copy of Elif Batuman’s The Possessed before I’d managed to finish it, he asked: ‘Why only one dwarf?’, which probably tells you what you need to know about Peter. But it wasn’t all riotous behaviour and ‘human exotica’. Aside from his work in the dockyards and visits to various royal institutions — the Arsenal at Woolwich, the Observatory, the Mint, and the Royal Society (MacGregor has a good account of these, pp. 124-30) — to further his acquisition of technical knowledge and scientific equipment, Peter also spent a good deal of time with churchmen, from several meetings with the Bishop of Salisbury, Gilbert Burnet (Cross, pp. 33-4), to a number of encounters with Quakers. 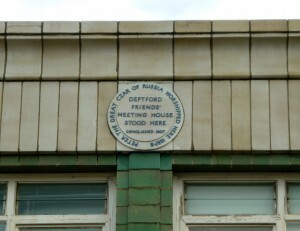 His visit to the Quaker meeting-house in Deptford on 3 April 1698 is commemorated in a plaque at 144 Deptford High Street (the building now standing there houses a Salvation Army shop). On 30 January he also attended the Friends’ Meeting House in Gracechurch Street, following a visit to Norfolk Street by Thomas Story and Gilbert Mollyson (Cross, p. 35). A group of Quakers then wrote a letter to the Tsar, but when William Penn tried to deliver it, Peter would not receive him. The evidence is unclear, and Penn may have been one of two Quakers received on a subsequent visit (Cross, p. 36), but there appears to be another connection. According to E. Schuyler, Peter the Great, 2 vols (1884), I, p. 365, the house on Norfolk Street where Peter stayed had a ‘few years before been the refuge of William Penn’ (cited in Loewenson 1962, p. 433). Schuyler states this is no. 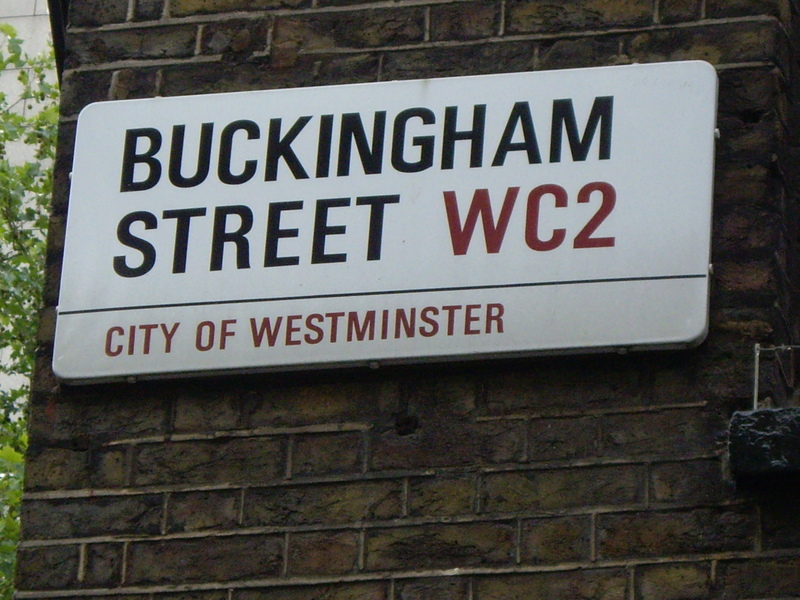 21; G. H. Cunningham’s reference to it being ‘the last house on the south-west corner’ of Norfolk Street cited in this brief biography of William Penn seems to confirm the coincidence, as we know Peter’s lodgings were right next to the river. Such interludes show that Peter was a more complex character than he is sometimes given credit for. But it is still his more earthly exploits — crashing boats on the Thames, knocking a hole in the wall of Sayes Court to gain easy access to the shipyards — that capture our imagination. 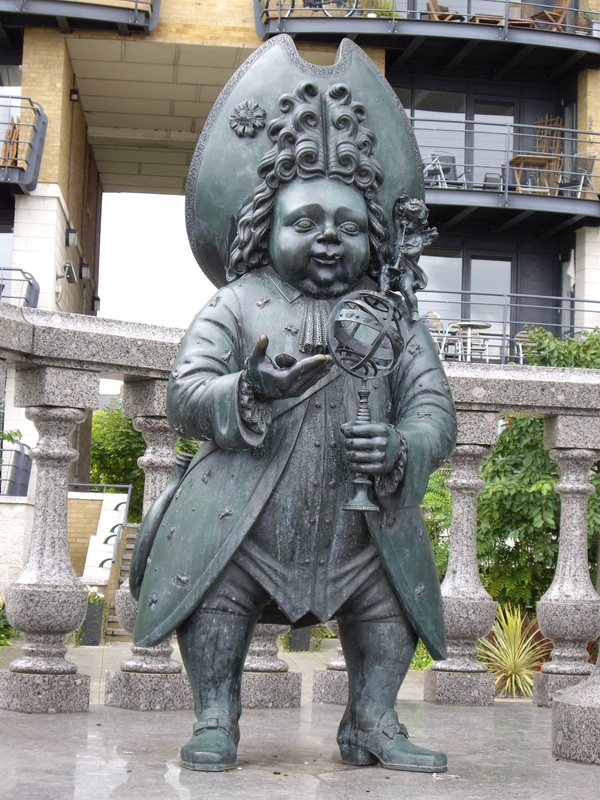 The image of him sitting in a tavern on Great Tower Street enjoying a brandy and smoking his pipe (Grey p. 229) is hard to resist. But here as well apocryphal stories and confusion persist. Grey tells the well-known tale of the landlord of this pub drawing a picture of the Tsar, hanging it over the door and renaming the pub the Czars of Muscovy (the story has been around for a long time in all sorts of variants — see this 1836 edition of Carey’s Library of Choice Literature). 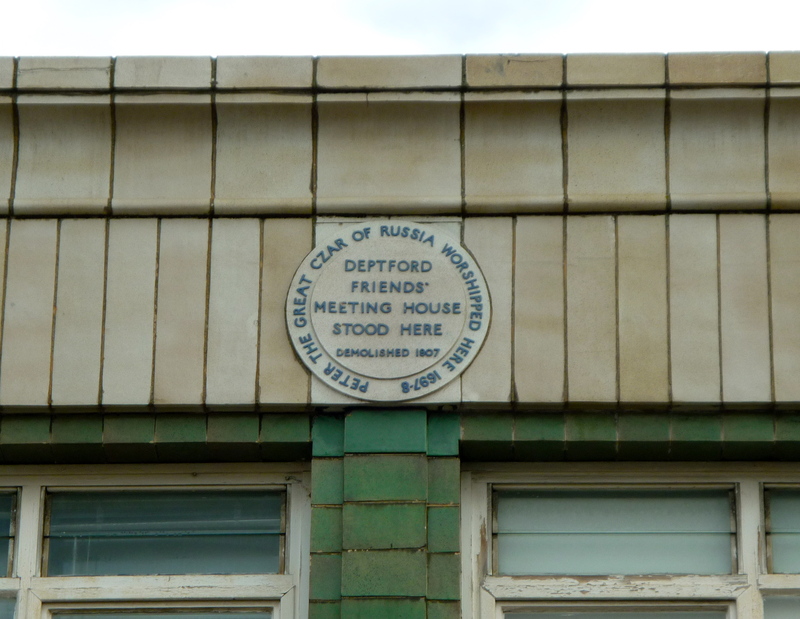 Grey states that directories reveal no trace of such a tavern that could have a connection with Peter the Great in Deptford, but Great Tower Street, of course, is in the City, not Deptford. The pub was in fact called the Czar’s Head (the Dead Pubs website helped me out here) and was at 48 Great Tower Street. 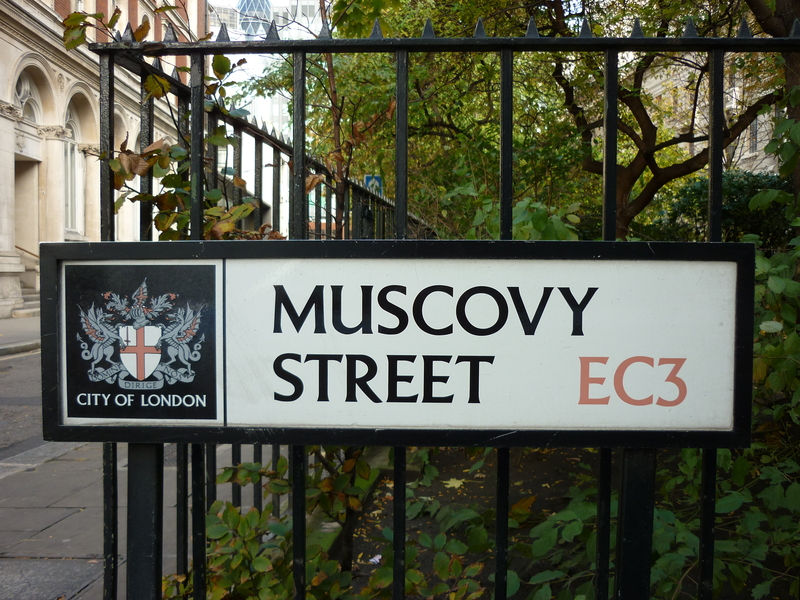 There are no traces of the pub today, although a short distance away Muscovy Street acts as a reminder that this too was one Peter the Great’s haunts. 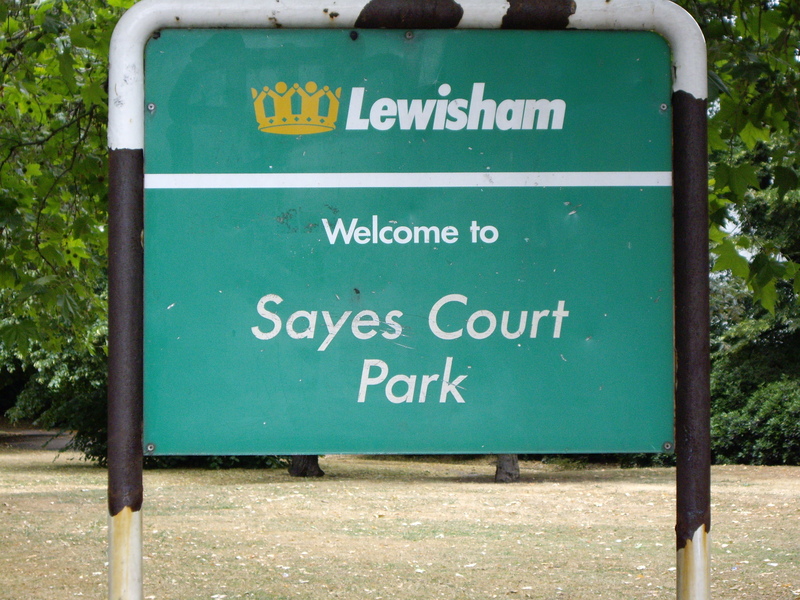 The places referred to in this post are plotted on the map that accompanies this series – click here or on the link in the top menu. I’ll be adding annotations for every post. The Thames was obviously crucial to London life in that period, but these initial annotations really show the extent to which Peter the Great’s visit revolved around the river – he rarely strayed far from it. I was chasing up some of your references. 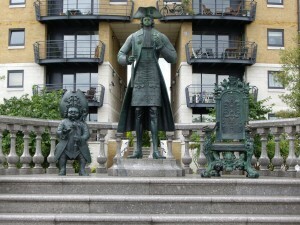 I can’t find Ian Grey ‘Peter the Great in London’ in the History Today Archive for 6:4 (1956). There are several articles by Ian Grey but none with that title. Can you help? Sorry both for the long delay in replying and for not having an immediate answer to this even now – I’ll need to go back over my old files to find it (I’ve changed computer in the lean time and archived stuff), as I must have got two different things muddled up. Will amend as soon as I find the files and work out what happened! Family history has it that Peter recruited an ancestor (who was a boat builder at Chatham) to go to Russia to build boats. The family were Trewolla and I understand one is buried in the monastery of St Sergius Nr St Petersberg. Can you throw any light on this for me? I know this is something that did happen, but beyond that I can’t shed any light on it. Anthony Cross’s various books on Anglo-Russian relations and the British in Russia would be a good place to start looking.